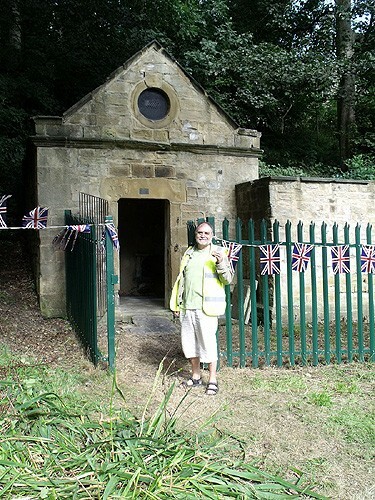 As part of Leeds Heritage Open Days, the Gipton Spa Bath House on Gledhow Valley Road was opened to the public under the supervision of FGVW members on Sunday 12th September 2010 (12.00-4.00pm). 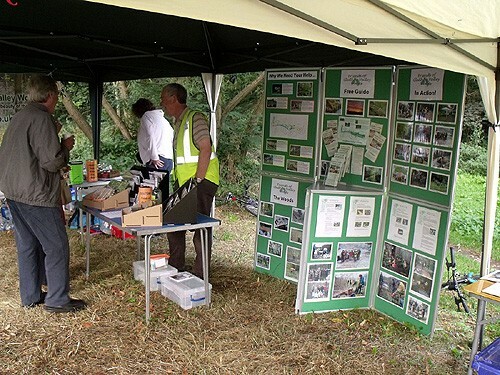 The open day was extremely popular, with around 354 people turning up to find out about the building and take the guided tour. Once again we were lucky enough to have good weather. Many people left comments in the Visitor's Book, and these can be seen at the bottom of this page. 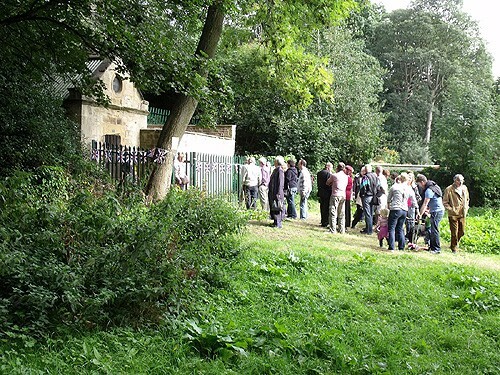 You can also find out more about the bath house in the About the Woods section. 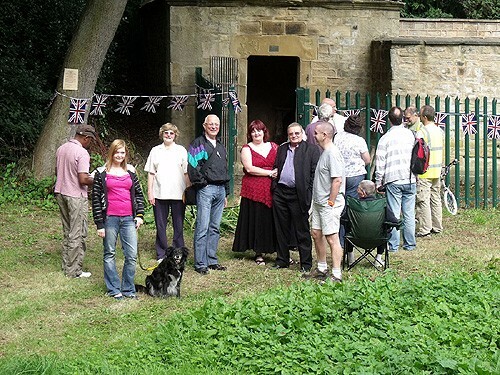 Our thanks go to everyone who helped on the day, those who provided the home made refreshments, and everyone who came to learn a bit about the history of this little gem of a building. 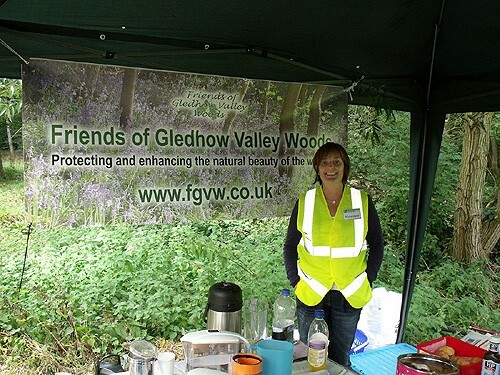 FGVW volunteer Claire, and our new banner! Core Group member Mervyn manning the FGVW shop! Really fascinating piece of history. Thank you very much for all your hard work it's much appreciated. The water was cold. Thank you for opening and all your enthusiasm. Good for you! Hope to help. I've very much appreciated all your work, particularly as a dog walker! Many thanks for all your hard work it is very much appreciated. Really interesting insight into a piece of local history. I'm pleased that I have finally seen inside - really impressive! Thanks. Very interesting talk - walked past thousands of times and never been! Very interesting, never knew it was here. Never realised this building was baths!! Interesting bath house and talk. Very interesting and glad there are groups like FGVW Friends. Brilliant. I wished my pond looked like that. Well looked after. How fascinating! Great to meet FGVW and hear the talk. Thanks. A really great day out and very interesting. Enjoyed by our family party ages from 9 to 91! Fascinating - passed this so many times. 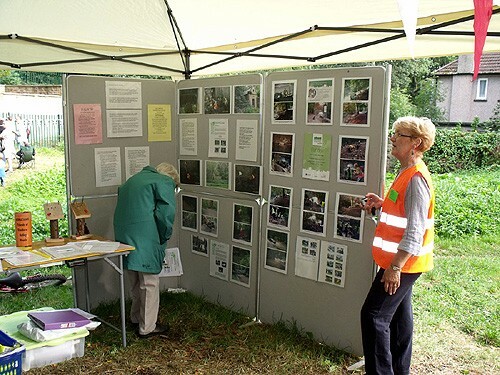 Great community work. Well done to all. Really interesting - well done to the group for opening it each year! Thank you. I learnt so much. Well done. Thank you so much, I never knew what was behind the walls - now I do! 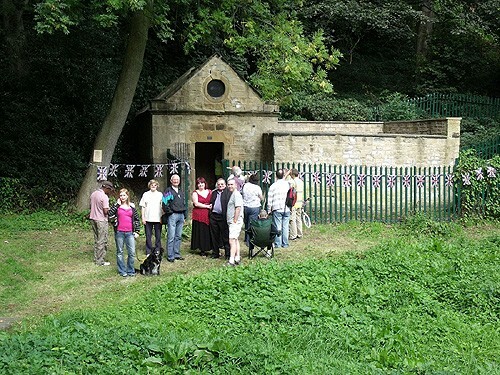 Fantastic opportunity to see the bath house. What a hidden treasure! Thank you for all your hard work. Fascinating - thank you for preserving it. Great work. Keep up the excellent effort. Thanks for the upkeep of the woods - excellent. Congratulations to all concerned it is delightful. Thank you. Unusual - a real find. Great to finally get to see something on the doorstep. Great to see what's inside after walking past for so many years. A most unusual treasure on my doorstep. Great to see some of Leeds history. Very interesting, passed many times. Great talk and info - thank you! A real treasure and great info. Fabulous find - well done FGVW!